News surrounding the Philippine Basketball Association is hard to come by these days. Once one of the Philippines’ national pastimes, the league has fallen on hard times in recent years due to a bevy of controversies. Nowadays, the PBA is barely mentioned at all in TV networks outside ESPN5, a byproduct of declining interest that has alarmed the league of late. One network, in particular, has repeatedly shunned the PBA when it comes to sports news. Enter ABS-CBN and its family of networks. In ABS-CBN’s most recent year-end sports report, there was not even a single mention about the PBA. The network, in particular, failed to account the 50,000 or so crowd that saw Barangay Ginebra San Miguel win Game 7 of the Governors’ Cup finals over the Meralco Bolts, or the two championships won by the San Miguel Beermen last season, or the Christian Standhardinger-Chito Narvasa controversy. It has been a pattern that is constant for the past several years. Instead of the PBA, ABS-CBN’s TV newscasts focused more on its sports properties such as the UAAP, NCAA, NBA and ABL, as well as national teams such as the Gilas basketball team and the Azkals football team. In fairness, ANC’s Hardball, DZMM’s Fastbreak and ABS-CBN’s sports and news websites always make up for the newscasts’ oversight by mentioning and even talking about the PBA in greater detail. But even that is not enough to slap some sense in ABS-CBN’s mindset. Now what about GMA? While they also report about the PBA on their news websites, they also do not mention the league’s news on their newscasts, and worse, they barely care about the world of sports at all since they do not even have a sports division. 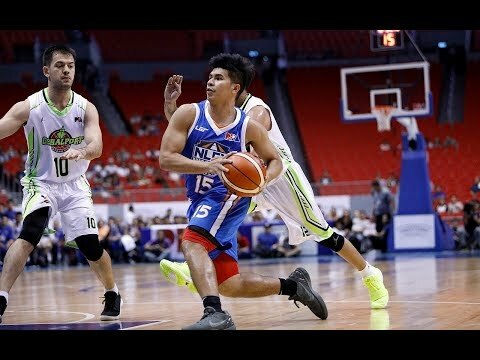 Which leaves us to the only two networks that do take a look at the PBA on a regular basis: PTV-4’s ‘PTV Sports’ and CNN Philippines’ ‘Sports Desk’. 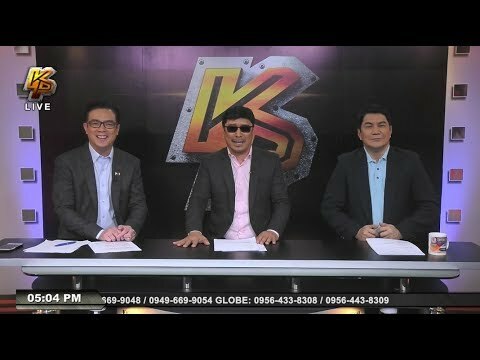 Much like the PBA, they are hardly recognizable in the viewers’ consciousness, but at least they are doing their best to cover the league’s latest news with consistency and detail. But for the two network giants in South Triangle, not mentioning the PBA on television is an disgrace to the league. Yes its popularity may have slipped of late due to these internal issues, but the PBA is still an important part of the Filipino sporting landscape and something needs to be done to rekindle the league’s interests. If you missed out on Part I, Part II and Part III of this series, click on the highlighted link for more information. Here is Part IV of the four-part series. These stories are arranged in no particular order. The final three games of the 2017 PBA Governors’ Cup Finals were held at the Philippine Arena. Not surprisingly, the venue was packed to the rafters, thanks in large part to the presence of crowd favorite and defending champion Barangay Ginebra San Miguel. Ginebra went on to defeat the Meralco Bolts in seven games, with Game 7 becoming the highest-attended PBA game ever with over 54,000 spectators. The victory also gave San Miguel Corporation a perfect 3-for-3 in terms of championships in the 2016-17 PBA season, with the San Miguel Beermen having conquered both the Philippine and Commissioner’s Cup as well. TV5 started 2017 by defiantly telling viewers to ‘choose courage’ in their station ID. By the end of the year, however, courage turned to cowardice as Chot Reyes gradually turned TV5 into a sports-oriented network and stripped whatever’s left of the station’s content. The final straw came in October when TV5 signed a deal with ESPN to rename its sports division into ESPN5. Since then, the collaboration purchased the broadcast rights to the National Football League and U.S. NCAA college basketball to go along with local sports such as the PBA and the Philippine SuperLiga. Already with the rights to the NBA, UAAP, NCAA, FIFA football, ABL and ONE Championship among other sports, ABS-CBN Sports acquired another big fish late in the year thanks to a collaboration with beIN Sport and Triple CH. The deal brought in the Premier League, La Liga and the UEFA Champions League to S+A. The acquisition is, in many ways, beneficial to Filipino football fans who are craving to watch some of the world’s top footballers like Lionel Messi and Cristiano Ronaldo for free. However, with football having one of the most expensive broadcast rights in the world, it remains to be seen if ABS-CBN Sports’ risk will become a reward. Suffice to say, the inaugural season of the Philippines Football League did not work out on the television side. The league faced plenty of problems with coveror PTV-4, namely weather postponements and the unexpected live broadcasts of President Rodrigo Duterte’s speeches. By August the PFL suddenly disappeared from television as it became fed up with PTV-4’s presidential priorities. With the first season already complete, perhaps the time is now to find a new broadcast partner for next season. 2017 was a surprisingly productive year for ABS-CBN’s NBA coverage. Beginning with the 2017 playoffs, S+A aired NBA games every day up until the finals, with a few dates reserved for doubleheaders. Once the finals began, ABS-CBN Sports employed a simulcast on both Channel 2 and S+A. The former featured commentary from Boom Gonzales and TJ Manotoc live from the U.S. while the latter used the feed featuring ESPN announcers Mike Breen, Mark Jackson, Jeff Van Gundy and Doris Burke. ABS-CBN also made NBA games available on S+A’s HD platform, which was previously separate and distinct from its SD counterpart. However, ABS-CBN’s surprise increase in NBA game coverage was just a reprieve for SkyCable subscribers, no thanks in part to a brewing controversy. It was deja vu all over again as Solar Entertainment pulled out its cable channels from SkyCable amid furor over NBA broadcast rights. The network claimed that ABS-CBN owed them millions of pesos for the rights to carry Basketball TV and NBA Premium TV. The conflict remains unresolved as of now due to conflicting statements between the two parties. This left angry NBA fans with no choice but to switch over to other cable and satellite outlets or subscribe to NBA League Pass. 2017 saw two new sports news programs debut on Philippine television. 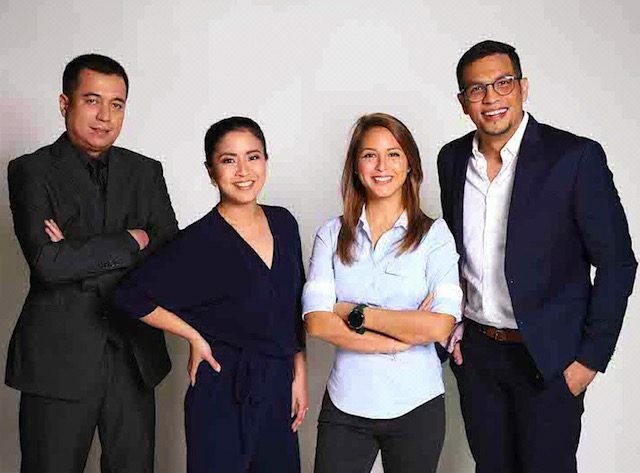 In January, the ABS-CBN News Channel premiered ‘Gametime’ with Migs Bustos at the helm, while in December, ESPN5 brought in ‘SportsCenter Philippines’ with Aaron Atayde, Lia Cruz, Magoo Marjon and Amanda Fernandez as its anchors. Meanwhile, CNN Philippines’ ‘Sports Desk’ lost one of its pillars as Mico Halili announced his departure from the network amid rumors of a reorganization. Finally, PTV-4 announced that PTV Sports would return as a standalone program after nearly a year’s absence, with Dennis Principe once again at the helm alongside Meg Siozon and Angel Atienza. 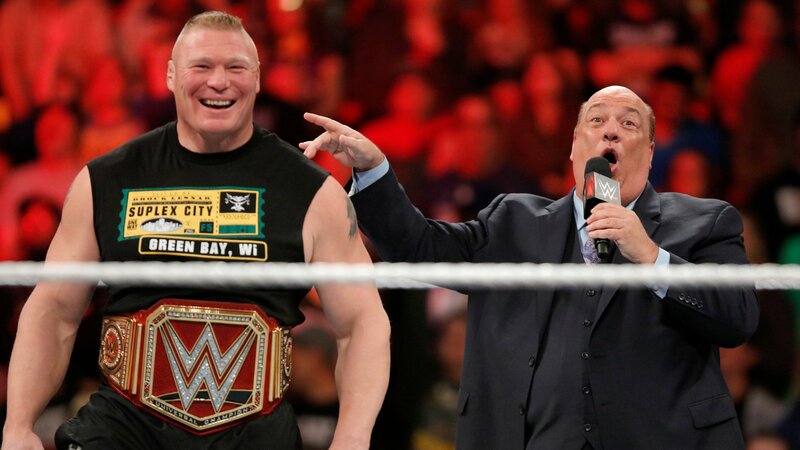 Carriage issues also got in the way of WWE programming on FOX Philippines’ family of networks as it announced that they would cease ties with the wresting promotion after a six-year run. This was due to the two parties’ inability to agree on a renewal. Shortly thereafter, TV5 announced that they would air WWE programs on their networks, but so far, only the condensed edition of SmackDown is currently on their lineup. As for Raw, the commercial-free 90-minute edition was made available on WWE’s YouTube page (for Philippine viewers only) while other programs can be seen via the WWE Network service. Overall, 2017 was both a challenge and an experience for media in the Philippines. Longstanding issues and pressing concerns were all over the place as each network tried its best to resolve each and every one of them. Looking ahead to 2018, there are still plenty more challenges to conquer and some new tasks to take. The evolution in media does not stop here and From the Tube will continue to bring in the latest news in the world of broadcasting come next year. In the meantime, have a Merry Christmas and a Happy New Year. The two Tulfo brothers began the year as hosts of their respective programs (Ben for ‘Bitag Live’, Erwin for ‘Punto Asintado’) on Radyo5 92.3 News FM. But after a highly-publicized feud with journalist Ed Lingao last June, Ben and Erwin elected to quit their jobs with Radyo5 and move over to PTV-4 (where they host ‘Kilos Pronto’ with Alex Santos) and Radyo Pilipinas full-time. While Ben moved ‘Bitag Live’ to join its sister programs over to PTV-4, Erwin returned to newscasting with ‘Radyo Pilipinas Nationwide’ and ‘PTV News’ where he is joined by Weng dela Peña and Diane Querrer respectively. Erwin also brought his ‘Erwin Tulfo Live’ over to Radyo Pilipinas and started a talk show with President Rodrigo Duterte called ‘Sa Totoo Lang’. Meanwhile, the lone remaining Tulfo on TV5 continued to butcher the already damaged reputation of its news division by changing the format anew of ‘Aksyon sa Tanghali’. As a result, the erstwhile newscast became a full-on television counterpart to Raffy’s radio program ‘Wanted sa Radyo’ by emphasizing more on citizen complaints than actual news reports. Notwithstanding the recent addition of Marga Vargas as co-anchor, it was clear that having Raffy on ‘Aksyon sa Tanghali’ is doing more harm than good to News5’s morale. Perhaps the departure of his brothers plus News5’s decline in quality may have taken its toll on Raffy, and giving him the walking papers may be inevitable. In April, a new-look DZMM TeleRadyo was unveiled to a nationwide audience, featuring an improved visual presentation and a new set for ‘Sakto’, ‘Good Vibes’, ‘On the Spot’ and ‘Todo-Todo Walang Preno’. They also added a selection of ABS-CBN News programs and two newscasts to the lineup in ‘Headline Pilipinas’ and an ‘early edition’ of ‘Bandila’. 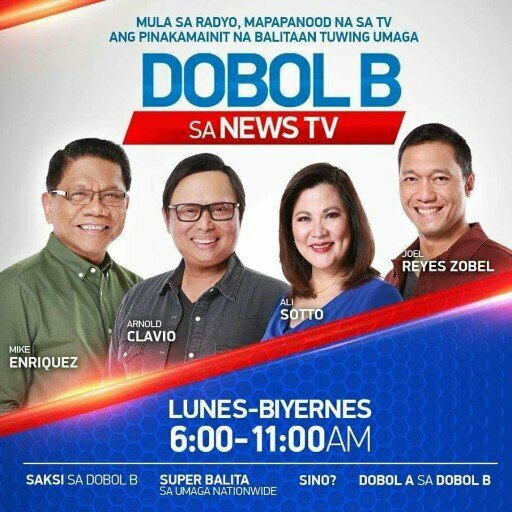 Not to be outdone, rival Super Radyo DZBB 594 returned to television via ‘Dobol B sa News TV’ after a four-year hiatus. The station also started to cross over to social media by airing select programs live on Facebook, much like DZMM does on occasion. The self-destruction of News5 continued throughout the year. Not only did the network lose Ben and Erwin Tulfo among other talents, they also cancelled ‘Aksyon sa Umaga’ and shortened ‘Aksyon Tonite’ in favor of sports programming from ESPN5. It also didn’t help that its leader Luchi Cruz-Valdes disappeared from radio and television altogether due to health concerns. Overall, the future does not look bright for News5 and the inevitability of dissolution draws even closer as each day passes. Call it a rebirth as the ‘old’ 97.9 Home Radio returned to the airwaves last July. Gone is the Top 40 style of previous years, and to the delight of its loyal listeners, Home Radio resurrected its familiar ‘easy listening’ format. The reformat of Home Radio back to its roots should give 96.3 Easy Rock a run for its money. After all, with Easy Rock offering a bland Love Radio-like approach, a more diverse playlist is more than enough for listeners to switch to Home Radio instead. They may continue to boast that they were the No. 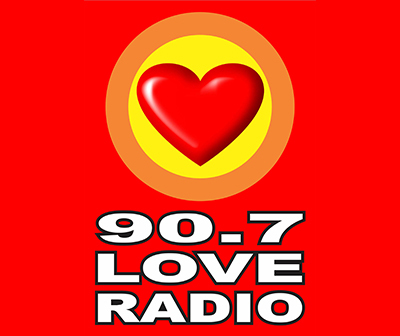 1 radio station in Metro Manila for nearly (self-proclaimed) two decades now, but the grip is slipping for 90.7 Love Radio. The loss of Papa Jack (now 106.7 Energy FM’s Papa Jackson) became too large of a hole to fill, and despite having the talented duo of Chris Tsuper and Nicole Hyala, this year overall is not a good one for Love Radio. Getting surpassed by MOR 101.9 in the ratings is insult to injury to Love Radio’s psyche. And if that is not enough, Lloyd Cafe Cadena is no Papa Jackson, which is hard to accept for any listener of the said station. The two FM stations under the PCOO umbrella officially signed on this year: 104.3 FM2 in February and 87.5 FM1 in November. Within months, FM2 became the top-rated FM radio station among the upscale listening public thanks in large part to their diverse format featuring classic songs from the 70s up to the 90s. As for FM1, the station is currently in test broadcast and is expected to launch early next year. Unlike FM2, FM1 will focus on the younger demographic with a format consisting of music from the 2000s onwards, which should give established stations like Magic 89.9 and Monster RX 93.1 a run for their money. The original ‘retro’ FM radio station in Metro Manila faced new competition in the form of FM2 this year. Initially, Retro 105.9 was the top FM radio station among Metro Manila’s upscale listeners, but a surge from FM2 ended their reign. Making matters worse is Retro 105.9’s latest rebrand that took place in November, dismissing almost all of its on-air staff in favor of a mostly automated approach. 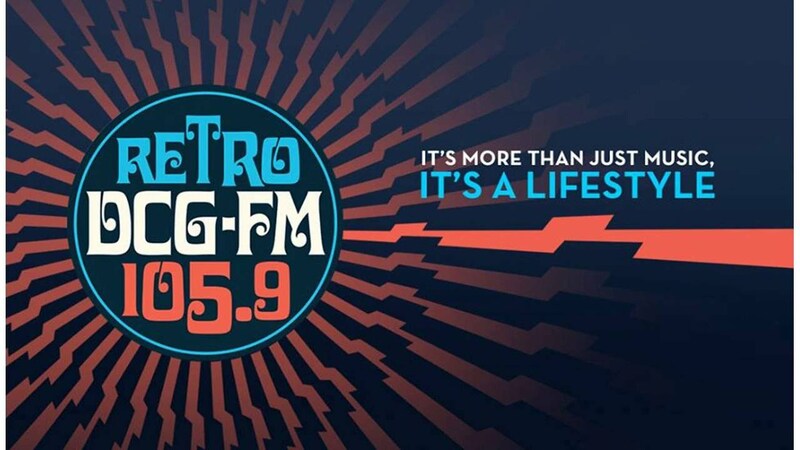 With FM2 imposing its will on the upscale market, it seems like the days of Retro 105.9 as the source of anything ‘retro’ music is being numbered by the day. It has been an eventful month so far for sports news programs in the Philippines. On Sunday, December 17, a fifth program will emerge. As part of ESPN’s new deal with TV5, the network will officially premiere its version of ‘SportsCenter’, to be anchored by Aaron Atayde and Lia Cruz. Before viewers can get excited about ‘SportsCenter Philippines’, here is a summary of how each current program brings to the table. These are ranked according to quality and depth. A holdover from Solar News Channel era, CNN Philippines’ ‘Sports Desk’ has by far the best content of sports news that is to offer. The program is not shy to tackle all the sports news that people should know, whether it is the UAAP, the PBA or even other local and international sports. It also helps that it airs three times a day, at 11:00 a.m., 6:30 p.m. and 10:00 p.m. on weekdays. However, with news of Mico Halili potentially departing CNN Philippines for perhaps a full-time role as a commentator with ABS-CBN Sports, can the show continue to deliver with regular substitute Paolo del Rosario? This program has been in and out of PTV-4’s lineup in recent years (remember Snow Badua? ), but its latest iteration is simply a straight-up summary of the whole day’s worth of sports news. There are a few interviews here and there but other than that, they are more into quick bursts of reports. However, as PTV-4 is a government station, there is a tendency for the program to be preempted whenever President Rodrigo Duterte makes an appearance on national television. Still, when the show does air, expect plenty of juice extracted in each report. Both shows are currently aired on ABS-CBN sister channels: ‘Gametime’ on ANC and ‘The Score’ on S+A. Unfortunately, they do not offer much in terms of sports news as they merely focus on sporting events currently handled by ABS-CBN Sports (e.g. UAAP, NCAA, NBA, ABL), not to mention they do not usually air live. For those who seek a greater scope into sports news (albeit on a weekly basis), there is ‘Hardball’ on ANC and ‘Fastbreak’ on DZMM. It’s sad to say that both ‘Gametime’ and ‘The Score’ are a disappointment since ABS-CBN treated them like a showbiz news program that is biased towards a particular network’s artists. So what expectations do people have for ‘SportsCenter Philippines’? For one, the show will premiere on a Sunday (a weekend no less) and it is assumed that the program will air seven days a week as opposed to a mere weekday airing that other shows do. Also, with TV5 possibly rebranding into a full-on sports network as ESPN5, the network is expected to highlight ‘SportsCenter Philippines’ as its centerpiece program with all the sports news that people should know. That said, it will be interesting to see how this new player fares amid a crowd of sports-hungry fans. Good luck to ESPN5. As for its competitors, there is no way to go but up.